The soccer news starts with another look at the final day of the 2018 MLS season, specifically what happened at BMO Field. 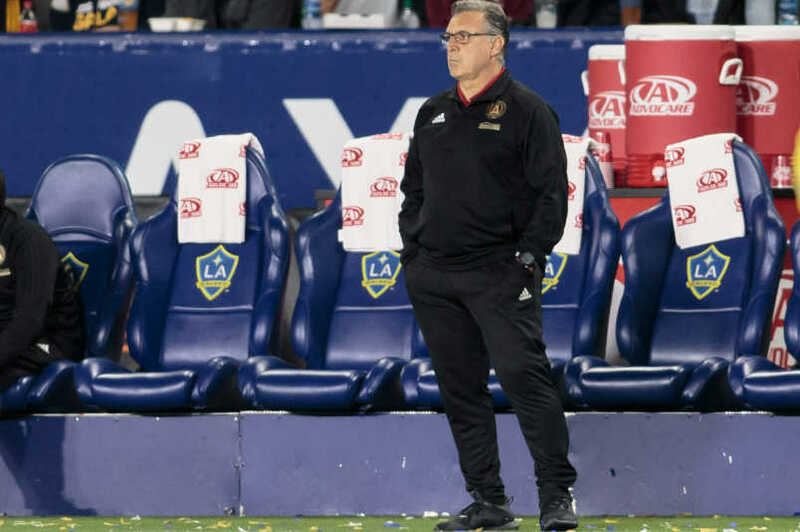 Decision Day underlined one talking point plenty of people felt like making following Atlanta United's announcement that Tata Martino will leave at the end of the season. How does the squad respond? What happens now with the Supporters' Shield in question and the playoffs on the horizon? A 4-1 loss at Toronto nicely filled in most of the plot. Atlanta enters the playoffs as a team in trouble, struggling with the future of their squad now an open question. Well, maybe. Losing to Toronto cost Atlanta the Supporters' Shield, of that there's no doubt or question. What it means for the playoffs, Tata Martino has already tried to answer. “I didn’t find a team with the defiance to turn the rhythm of the game," he said following the loss to Toronto. "Even though in the second-half we tried a little more, because furthermore I saw a team that had lost all of the football that we’d played up until two or three weeks ago and that’s the most important. Today we have to recover that if we want to have a chance in the playoffs." Plenty of reason to point to the announcement about Martino's future as a contributing cause here. However, finishing the regular season on a down note doesn't necessarily mean much of anything. Atlanta knows they botched the finish on the Supporters' Shield. They know what happened in their 2-0 loss at the New York Red Bulls on September 30. Of all the clubs in MLS, they're one of a few teams capable of working in fixes in real time. Martino again. "My message today to them wasn’t comfortable. Not at halftime or after the game. What we have to talk about for next week, we’ll start on Tuesday. Today, the reality is that we should have had a different type of performance. I think we betrayed ourselves because indefinitely it’s what we were talking about. A lot of effort since January 15 until today for 90 minutes is like throwing away a year’s effort. It’s clear that losing to Toronto away from home is a possibility,but what stands out is the way it happened." What we're already seeing is Martino doing his job. He's shifting the focus from the specific result to the group as a whole. It's not the standard "teachable moment" talking point. It's accepting a one-off failure and refocusing on the work to make sure it's unlikely that it doesn't happen again. Soccer America's Paul Kennedy makes a point about MLS parity. MLSsoccer's Scott French asks about Zlatan Ibrahimovic's future with the LA Galaxy. American Soccer Now's Brian Sciaretta looks at American players facing issues in Europe. The NY Times' Rory Smith on Real Madrid firing coach Julen Lopetegui. the Guardian's Sid Lowe on Real Madrid's decision. ESPN's Mark Ogden on the shallow pool of potential replacements for super clubs needing coaches.